On 2018-11-19 at about 14:20 members attached to Diep River SAPS arrested two males, aged 29 and 41 years, for the possession of a stolen motor vehicle. 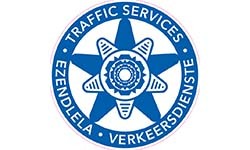 The members were alerted to a vehicle driving suspiciously in De Waal Road, Diep River in a white sedan vehicle. 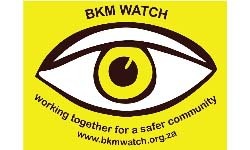 The vehicle was spotted by a local security service provider and relayed the movements to the members. The vehicle was then stopped on the corners Victoria Road and Main Road, Plumstead with assistance from neighbouring SAPS stations. 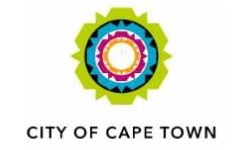 It was discovered that the vehicle was stolen earlier that morning from the Grassy Park area. Charges of Possession of Stolen Motor Vehicle was opened against the two suspects. 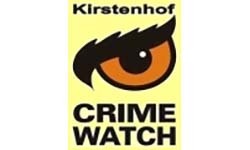 On 2018-11-21 at about 15:00 a resident from Evermonde Road, Plumstead reported a theft of a White Mountain bicycle in to Diep River SAPS. 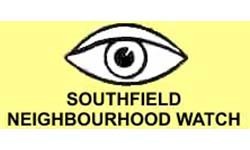 Through the use of partnership policing, various Security Service Providers and neighbourhood watch patrollers were alerted to the incident. 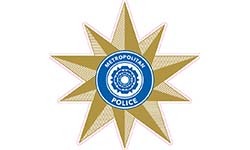 Later that evening at approximately 22:30 local members attached to Diep River SAPS were conducting high visibility patrols in the Plumstead area when one of the neighbourhood patrollers reported seeing an unknown male acting suspiciously in the Plumstead Area on a bicycle. The members went to investigate and found this unknown male in Prince George Service Road, Plumstead. 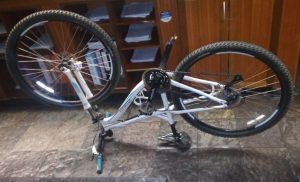 Upon arrival, the unknown male, aged 34 years of age, was interviewed and later detained for Possession of Presumed stolen goods after failing to provide justification to the possession of the white bicycle to the officers. The bicycle was then identified being that of the complainant from the theft case reported earlier that day. 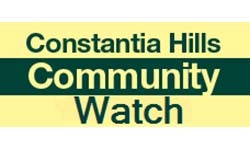 On 2018-11-21 at approximately 18:50 Constable Jason Benjamin and Constable Donovan Katzke responded to a call of a suspicious grey sedan vehicle parked in Price Drive, Constantia. On their arrival, they found two male occupants in the vehicle. Further investigation lead the members to a replica firearm, a large sum of cash, and various narcotics found inside the motor vehicle. 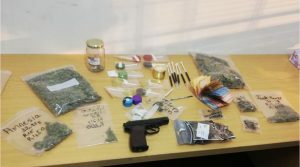 The two suspects, aged 18 and 19 years, were arrested on scene and charges of Dealing in Drugs were opened against the suspects. On 2018-11-23 at approximately 10:45 two males, aged 18 and 19 years, were arrested on charges of Attempted Housebreaking. It is alleged that the two suspects attempted to break into a residential premises in Waterford Road, Diep River. 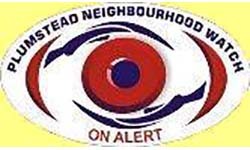 The vigilance of one of the neighbours alerted a local security service provider, detailing the description of the suspects. The suspects were shortly found in Avondale Terrance Road, Diep River by the local Security Service Provider, matching the description given. The suspects were then handed over to Diep River SAPS for detention. Charges of Attempted Housebreaking was opened by the complainant. On 2018-11-23 at approximately 19:30 members responded to a call of an armed robbery taking place in the parking area of Steurhoff Train Station, Plumstead. It is alleged that two unknown males had approached the complainant and his friends in the parking area and searched them. The one suspect produced a firearm whilst the other suspect searched the complainant and his friends. A cell phone was taken from the complainant. One suspect, aged 37 years, was apprehended whilst the other suspect managed to evade the police. Charges of Robbery with Firearm was opened against the suspect. No shots and no injuries were reported. Anyone with further information pertaining to the above case can contact Detective Constable Elrico Booysen on (021) 710 7359 or Diep River SAPS on (021) 710 7300 (switchboard). We would like to sensitise the public to utilise the official SAPS Crime Stop 08600 10111 and SAPS Emergency 10111 for reporting criminal activities. We encourage all members of the public to utilise the official numbers as to receive the best possible service from Diep River SAPS. These calls are logged and a reference number may be requested. This also ensures proper and effective response and monitoring in terms of service delivery from SAPS. 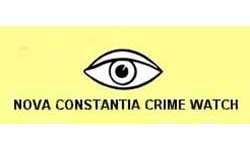 We continue to urge residents to take care and remain vigilant during the Festive Season and to report any and all suspicious activity to the police. 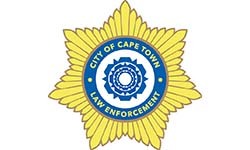 This office would like to thank all role-players both internal and external, namely our Members, Reservists, Law Enforcement Permanent and Auxiliary, Neighbourhood Watches, and Security Service Providers for their dedication and contribution towards the fight against crime. This entry was posted in News & Updates by CVWA. Bookmark the permalink. Copyright © 2019 CVWA. All Rights Reserved.